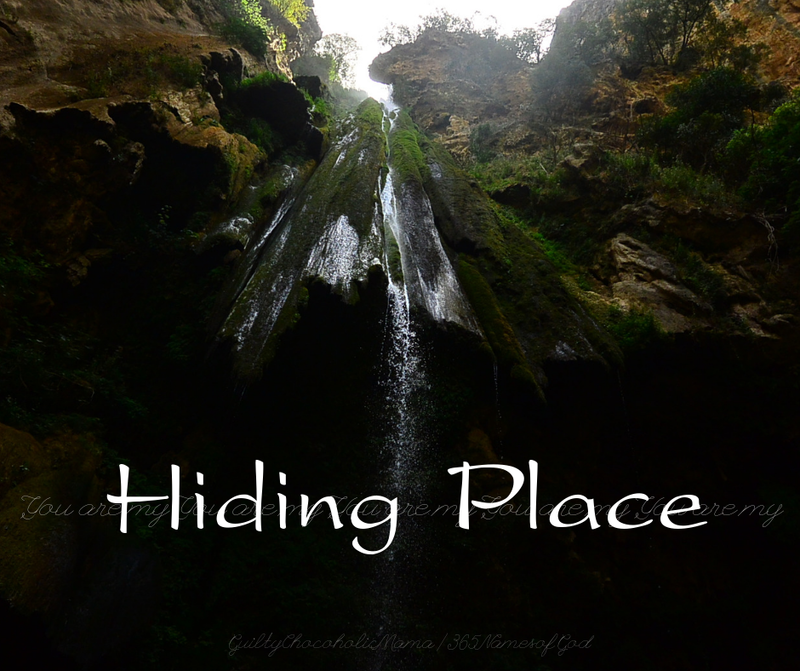 I think we often have a negative reaction to the word "hiding." We think (understandably) of danger or shame or withdrawal. But this name of God provides a gorgeous example of how something that is dark apart from God can be brought into light when it is connected to God. 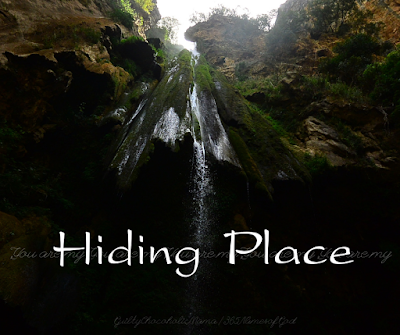 God as our Hiding Place reveals Him as our shelter, our protection, our safe place. I think of how we speak of "hiding God's Word" in our hearts, and that is not because of danger or shame or withdrawal, it's because we want to guard something that is precious and tuck it away in a sacred space for future use. When God hides us, He keeps us close to Himself so that we are preserved for the future. And there is this, too: when we hide ourselves, we find that He is revealed. My family and I have a 100-year-old barn at the back of our property. I love this barn...it was very nearly what sold me on our house, which, in its original sale condition, had a fair amount that had to be forgiven. In hopes of saving our barn from rack and ruin, we've put on new paint and a new roof and put in a new floor. But there is also the matter of the vines that like to crawl up the east and west ends. Left to their own devices, these vines work their way up and in where they don't belong. So early every summer, I arm myself with pruners and hack them off at ground level. Thus detached from their root—their source—they shrivel up and die. They still cling to the barn at that point, but I can pull them down with no effort. They are really only shells of themselves. Of course, you, my dear noggins, are smart and know exactly what this has to do with today's NOG. 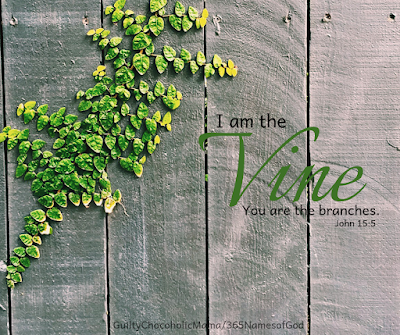 Jesus tells us He is the true Vine. But cut off from Him—our Source—we wither, and we're easily pulled down by the enemy. But attached to Him—through prayer, worship, Bible study, fellowship, and service—we grow and thrive and flourish and climb. 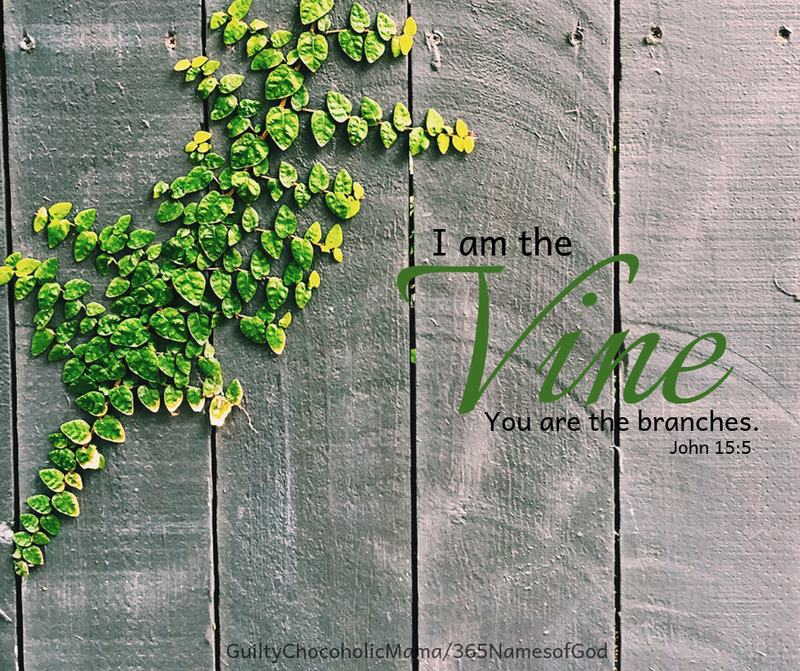 I think for many of us (and by "us," I mean those of "us" with some miles in our life rearview mirror), our first introduction to this name of God came through the Amy Grant song of the same name. I've always loved the translation of "El Shaddai" as "God Almighty," but I recently learned that it also means "all sufficient"—which thrills me, because I find this to be yet another beautiful example of the completion and totality of God. He is not only powerful, He is also provisional. He is not only strong, He is also sustaining. 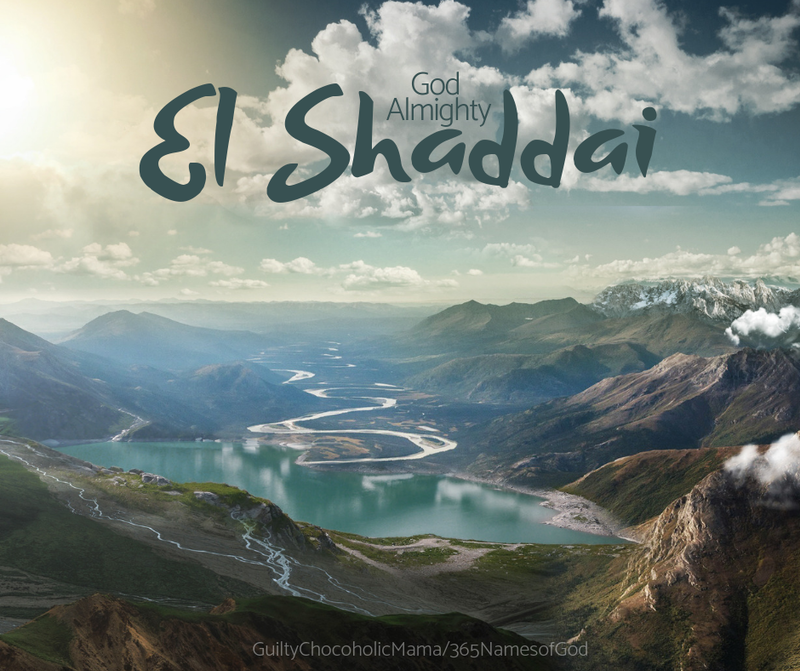 El Shaddai not only is and has everything we need, He also has the power and might to give it to us. 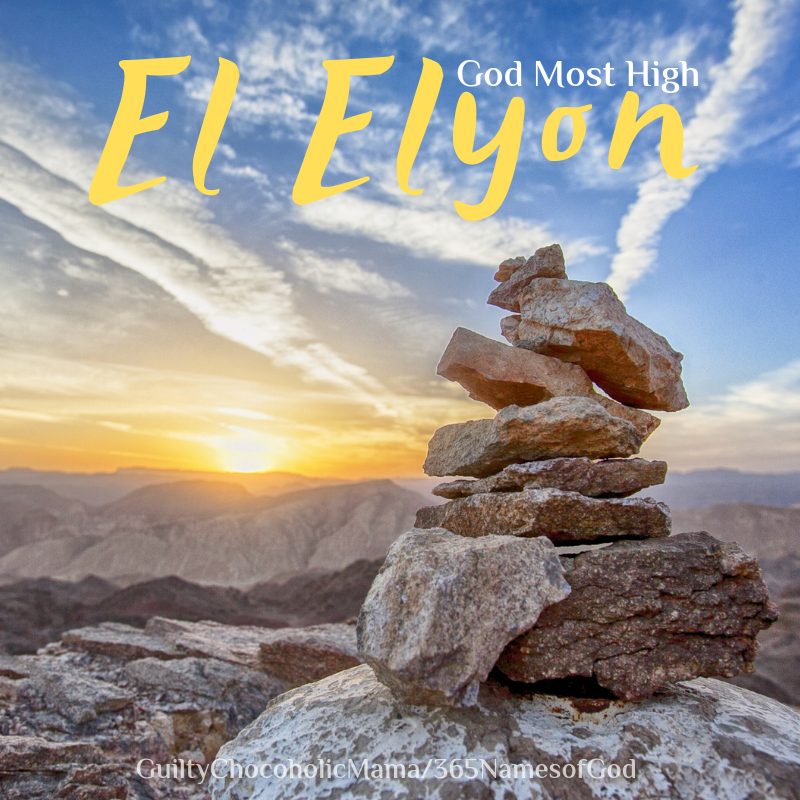 Oh, yes: "We will praise and lift you high, El Shaddai." The strength of God is a repeated refrain in the song of Scripture. It inspires confidence and gives spiritual feet firm ground to stand on. But I've struggled a little with one particular reference to it in 2 Corinthians 12:6 as I learned it in the King James Version (shared here in the New King James Version): "And He said to me, 'My grace is sufficient for you, for My strength is made perfect in weakness.' Therefore most gladly I will rather boast in my infirmities, that the power of Christ may rest upon me." "My strength is made perfect in weakness..." Since perfect means "complete" or "lacking nothing," I started to wonder if this implies that God's strength is somehow dependent on our weakness, as if His strength is in some way incomplete on its own. But I think a better interpretation is this: God has no need of strength for Himself since He already IS strength embodied, so His (perfect) strength seeks a target. Our weakness is that target. When God's strength finds weakness (an easy search in my case), it fulfills its purpose. And thus strengthened, we can fulfill our purpose, too. The original Greek word here for Word is "Logos." I know this is rather obvious, but it reminds me of our English word "logo"—a way of succinctly communicating what something or someone is about. Which makes perfect sense to my mind, because Jesus—the Word, the Logos—IS what God is about. Before the Word showed up in human form in a stable, God's words were communicated by prophets...His messengers, his mouthpieces, his mailmen, if you will. Evangelist and writer Hal Lindsey said, "Man can live about forty days without food, about three days without water, about eight minutes without air...but only for one second without hope.” Of course, we understand that many people are physically alive without hope. Maybe you are one of them. If so, please know that my heart breaks for you and that it would be my privilege to pray for you. To truly live, hope is nonnegotiable. 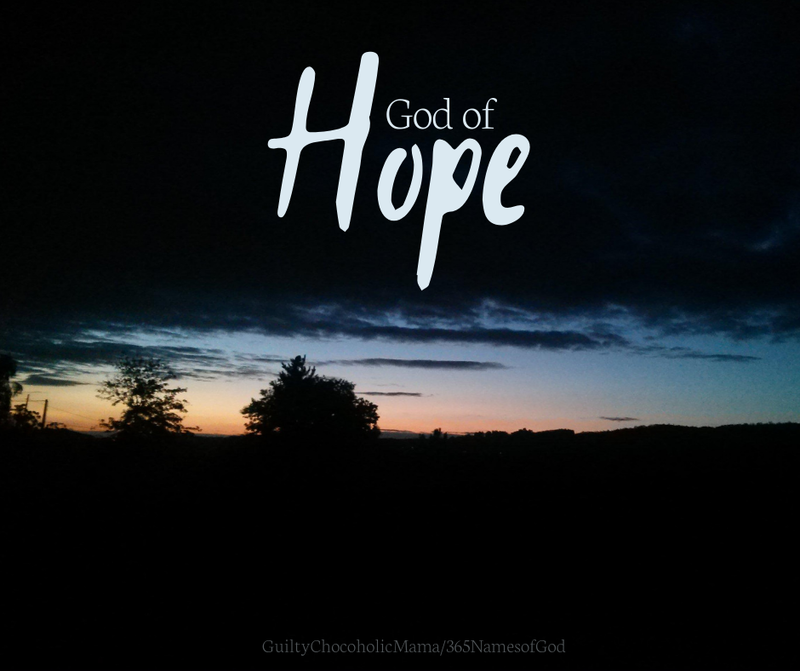 This kind of hope is altogether different from the fingers-crossed, wishful-thinking, "oh I hope this" or "oh I hope that" variation that comes apart from the God of Hope. This kind of hope is based on confident expectation of what God will do, and it can remain steadfast no matter what it is that God does do, because this hope is not based on what is done nearly so much as it is on the One who's doing the doing. Hold onto hope today, dear friends...even if it's just by the very tips of your chewed-down fingernails. Because the God of Hope has you in His sure and steady grip, and expectant confidence in Him is never misplaced. Oh, Merry Christmas, dear NOG friends! This is the news that is eternally good! When we pursue relationship with Jesus...when we admit who we are—the fallen—and put our faith in who He is—the Faithful and True—He wipes away the stain of our sin that would otherwise make it impossible for us to live forever in the presence of a holy God. And this Savior keeps on saving us from ourselves, day after day, until that great day when all we have been saved for will become clear. Today, in every heart that prepares Him room, a Savior has been born. He is Christ the Lord. Has sent us His best. And creation will worship His name. 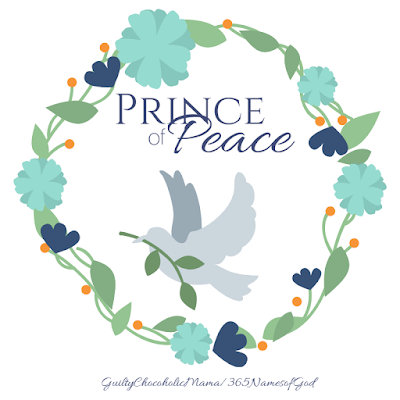 Bringing peace to us all through the gift of the Son. 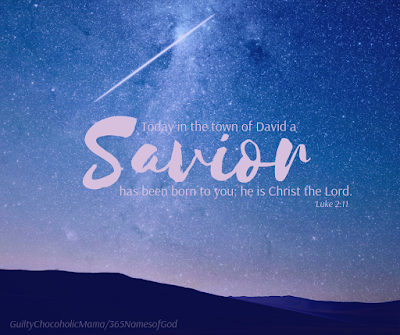 For the Savior of heaven has come." My point in sharing this page from our family history is that our names speak of who we are, and often we say that so-and-so's name "suits them" or that they look like a [insert name]." Jesus' names suit Him. They speak of who He is. His is the Name above every other because He is above every other...above every other god and every other hope and every other source of saving. 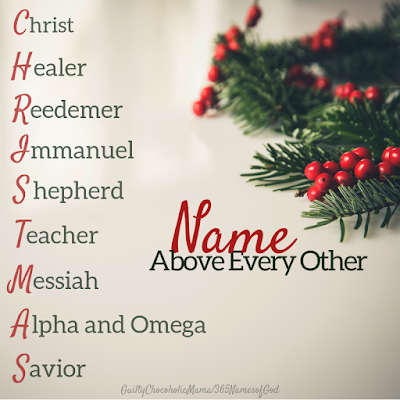 Joy to your world this Christmas, my friends...may it be blessed by the Name above every name. For several years, I've had the joy of doing Bible study alongside my mama and a beautiful group of friends from my home church and other local churches. Last year, I gained the added blessing of studying God's Word with my friend, cousin, and surrogate big sister, Karen. I love having Karen with me at the Bible study table for many reasons, including her depth of knowledge. The other day, she was sharing about the authority of Scripture: that God's great love letter proves itself trustworthy and believable over and over. One of the many ways it does this is by consistently weaving separate threads together into a tapestry of truth. Consider, for example, these verses from the book of Ruth, chapter 1: "In the days when the judges ruled, there was a famine in the land, and a man from Bethlehem in Judah, together with his wife and two sons, went to live for a while in the country of Moab. The man's name was Elimelech, his wife's name Naomi. Now Elimelech, Naomi's husband, died, and she was left with her two sons. They married Moabite women, one name Orpah and the other Ruth." I tend to gloss over what I regard as peripheral details when I'm reading the Bible. But this detail—"a man from Bethlehem in Judah"—is no periphery. This is a front-and-center fact when you consider that it led to the fulfillment of this messianic prophecy: "From Judah will come the cornerstone" (Zechariah 10:4). 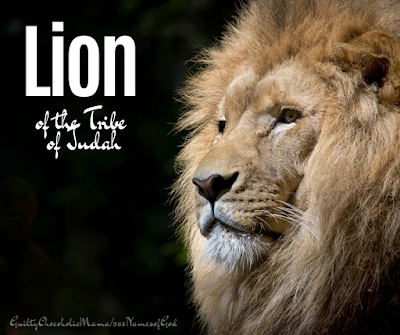 This "man from the tribe of Judah" had a son who married a woman named Ruth who married a man named Boaz whose name appears on none other than the record of the genealogy of Jesus...the Lion of the Tribe of Judah. 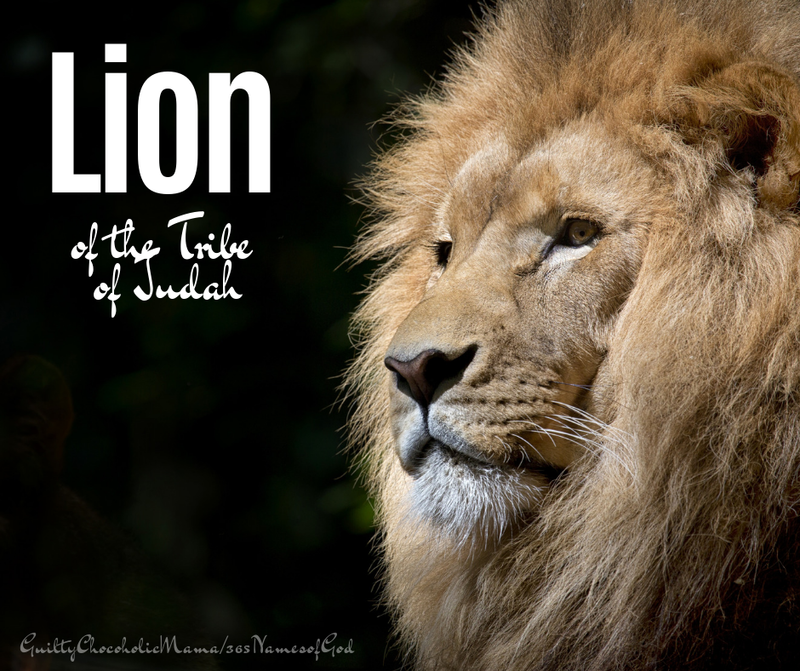 May He reign and rule and roar in righteousness forever. 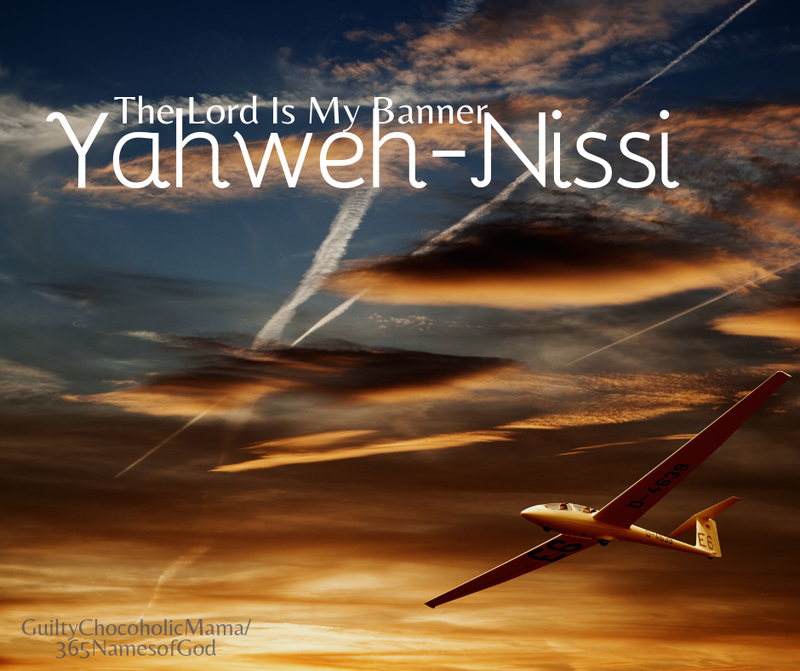 Yahweh-Nissi is a name of God I struggled to get a grip on. I could never quite understand the meaning of "the Lord is my banner" or "His banner over me is love" (Song of Songs 2:4). I understand that God is love and that He loves us, but how do these facts tie into the banner? A couple analogies finally made sense to me; these are only my personal interpretations, but I'll share them with you in case they make sense to you, too. I think first of the flags that some people attach to their car windows when they're headed to a sporting event. These flags bear the name of their team and declare their loyalty toward that team. And I think of the way airplanes will sometimes fly with a banner in tow. Those banners usually tell something about how whoever has paid for them feels or what they want people to know or what is important to them. To my mind, all this fits with God being our banner and His banner over us being love. He covers us and protects us with his love. Love is how He feels toward us. Love is what's important to him. He is loyal toward love. And love, always, is the team He's on. In the Northern Hemisphere, today is the darkest day of the year. It's the day we have the least daylight. But it's also the turning point back toward the lightest day. The arrival of Jesus, the Light of the World, was a turning point for that very world into which He stepped in human form. It was a turning away from so many old ways humankind had of relating to God and toward so many better ways. It was a turning away from the old way of the law toward the new way of love. It was a turning away from righteousness through rules toward righteousness through faith and grace. And it was a turning away from darkness toward the lightest day of all...the day we're still looking for and longing for while we walk in the light of life. 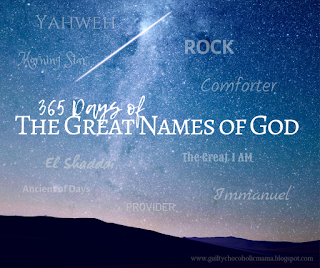 Oh, how I love the way this name of God highlights His power and might and strength and steadfastness. Too, this depiction of God makes me think that our mighty Fortress not only protects us from; He also preserves us for. 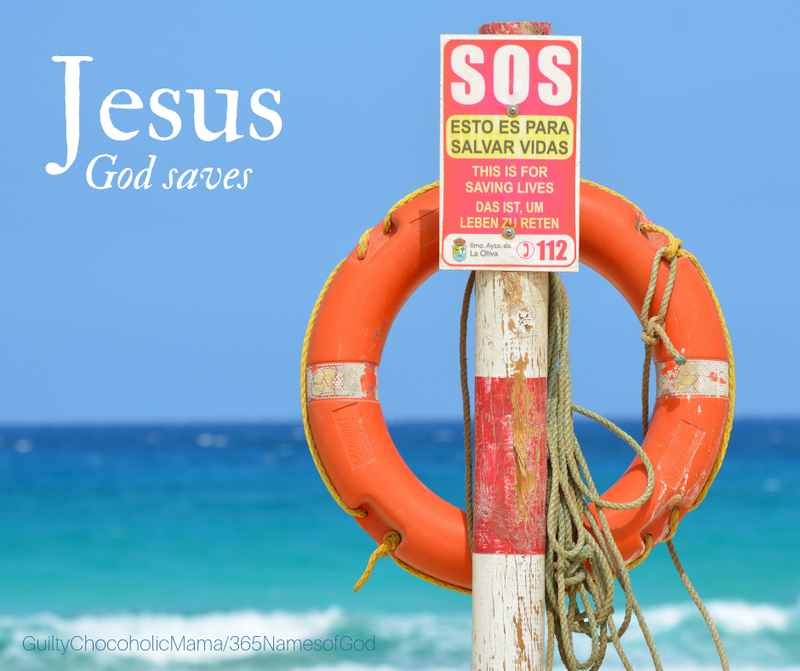 He protects us from harm and preserves us for good. The good He wants to give to us. The good He wants to do through us. 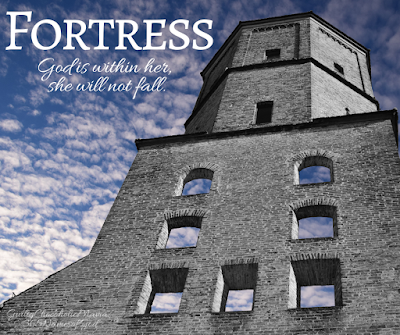 What is the Fortress protecting you from today, my friends? What is He protecting you for? All glory to His name. Forever and ever and ever. Amen, amen, HALLELUJAH. I've had the incomparable privilege of facilitating women's Bible study at my church on Tuesday mornings for the past 13 years. One of the facets of God's Word that I get most excited about (my ladies know this from vast experience) is when prophecy about Jesus is laid out and then fulfilled by Him. Of course, there is never a time when this does not happen, because He is the "Yes" to every one of God's promises. He is the last to every first. He is the answer to every question. He is the tapestry that weaves together every loose thread. 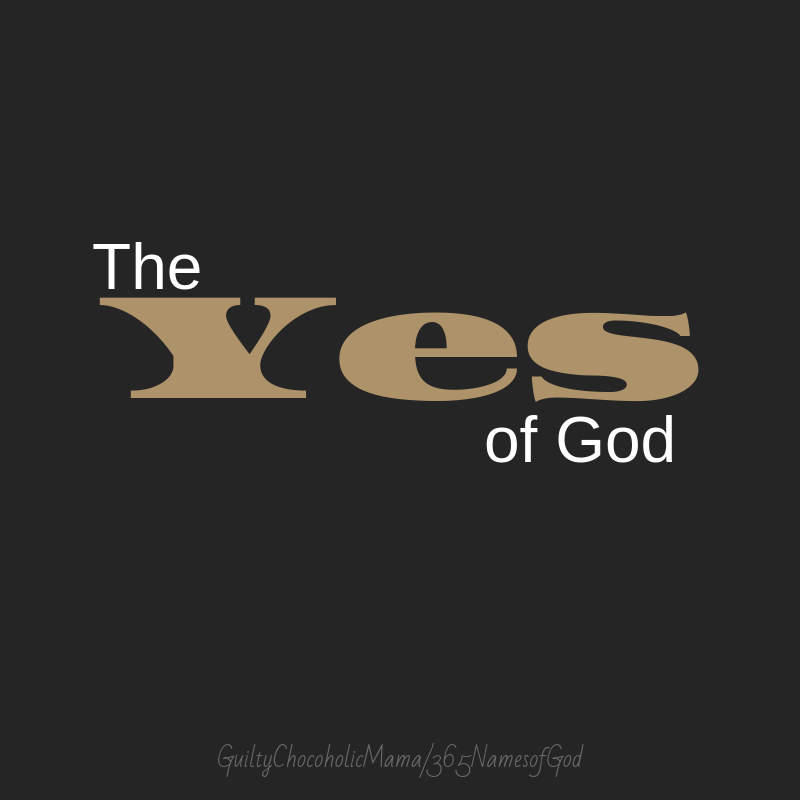 I wanted to feature this name today because throughout the rest of our year together, we will often consider names of Jesus that magnify Him as the "Yes" of God. I would tell you I'm trying not to get too excited about these, but my Bible study sisters know the truth. So instead I'll invite you to join me in "anticipatory enthusiasm." And may the "Amen" be spoken by us, to the glory of God. "In Genesis 14, Abraham meets the king of Salem [Melchizedek], a powerful and mysterious figure who was known not only as a king but a priest of the one true God. Abraham has just won a victory over those who would keep him from the land of promise, and his desire is to worship God. He meets with Melchizedek and brings him a tithe. He asks to be blessed, and in that beautiful moment of worship he is taught that God is the Most High God, sovereign over all the universe. He lived in a time when it was taught that there were many gods that led certain tribes and had power in certain lands. Now Abraham is learning there is a Most High God who is not one of many but the greatest and only." God Most High. The greatest and only. I'm believing Him. Today I want to introduce something that will factor into our Names of God series from time to time going forward: namely (no pun intended) that some entries will not be "official" names so much as they will be roles or attributes. I long for this series to lead us to praise God and to know Him better and then to weave what we learn from His names into the fabric of our daily lives. I cannot imagine these things happening without considering God's roles and attributes, which have much to teach us about who He is and what He's like. 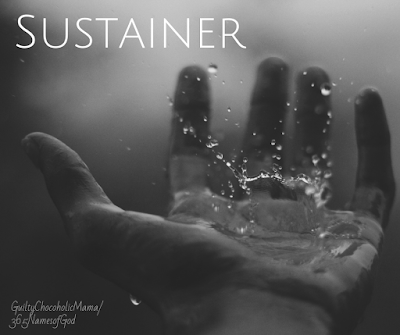 I'm so comforted by Scripture's portrayal of God as our Sustainer. He keeps us going. He supplies us. He holds us up. And as we look back on the names of God we've visited so far, we see how He fulfills His role as Sustainer through the aspects of His character represented by each name. 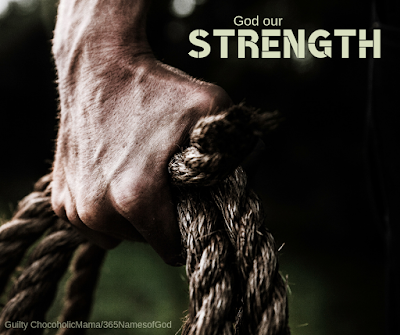 Elohim sustains us with His strength. Emmanuel sustains us with His presence. The Comforter sustains us by helping us. Yahweh sustains us with His lordship. The I AM sustains us with His being. 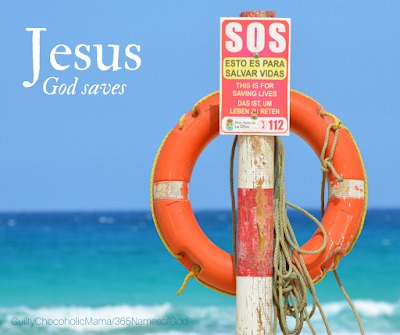 Jesus sustains us by saving us. 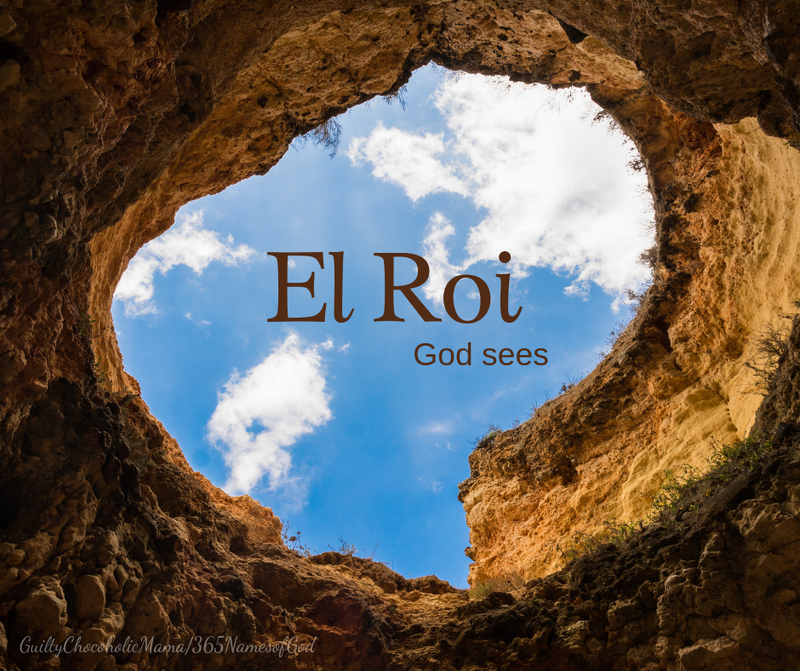 El Roi sustains us by seeing us. The Alpha and Omega sustains us with His completion. The Prince of Peace sustains us by guarding our hearts. The Creator sustains us by showing us Himself. 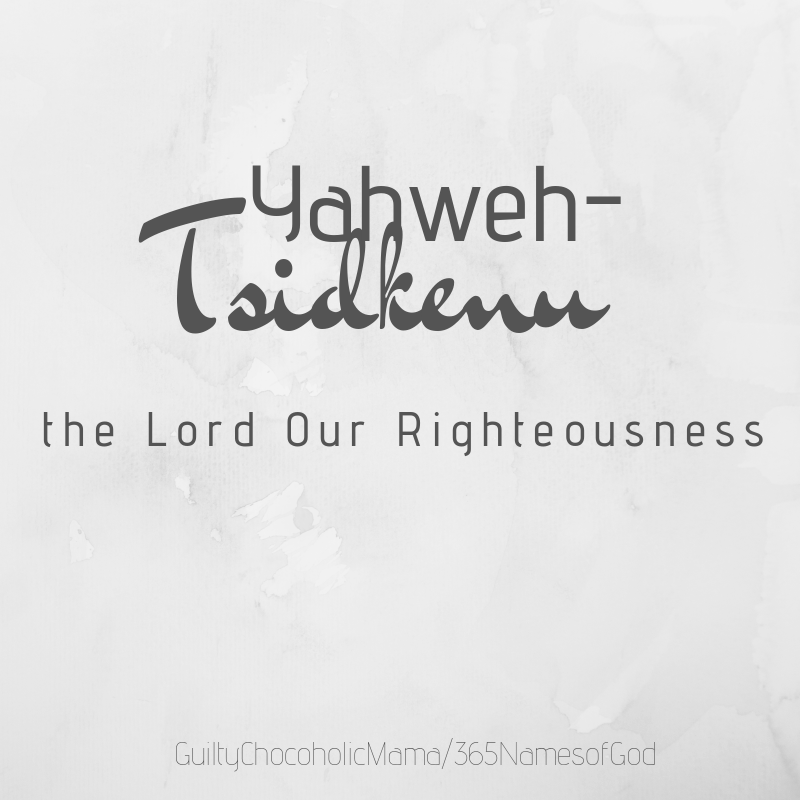 Yahweh-Tsidkenu sustains us with His righteousness. The Counselor sustains us with His guidance. 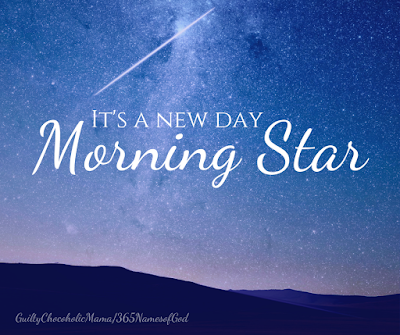 The Morning Star sustains us by bringing a new day. 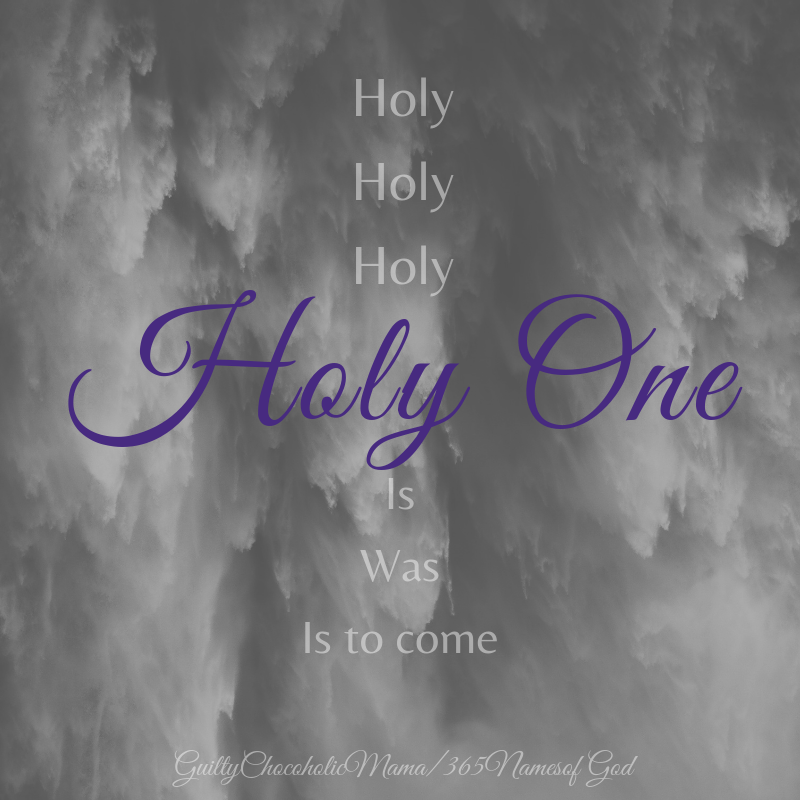 The Holy One sustains us with His otherness. The Rock sustains us with His certainty. And the Joy-Giver sustains us with the fruit of His Spirit. Blessed be the name of the Lord, who sustains us with Himself. On a list of characteristics of the fruit of the Spirit, joy shows up early, right after love. One of the many lessons that has stayed with me ever since I did a Bible study on the fruit of the Spirit is this rather obvious but, for me, game-changing fact: it is the fruit of the Spirit, not the fruit of me. It is not our job to manufacture or dredge up love, joy, peace, patience, kindness, goodness, faithfulness, gentleness, and self-control; our job is to cooperate with the Holy Spirit as He produces this fruit in us. 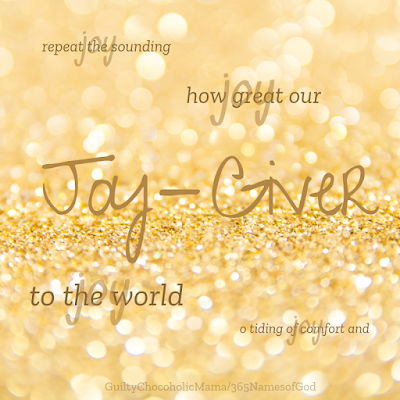 I believe this reality is reflected beautifully in God as our Joy-Giver: He gives joy...He does not order or command it. And He gives it as He gives all His good gifts: lavishly and lovingly, to every heart that will prepare Him—and the joy He brings—room. And the apple of my eye." Hello, dear Names of God friends. (As an aside, I've taken to referring to this series as "NOG" and to you as my "noggins.") I wanted to take a moment as we begin Week 2 of our journey to do two things: first, to thank you for being my traveling companions. I am so honored and grateful to have your encouragement and insights along the NOG way. Secondly, I wanted to check in and ask how you're doing incorporating God's names into your prayers and praises...and into, well, life. As I mentioned early on, I try to put my mind on God using His name as soon as I wake up in the morning, because if I don't, it (my mind) goes every other place it doesn't need to go at 5 a.m. (or, ever). 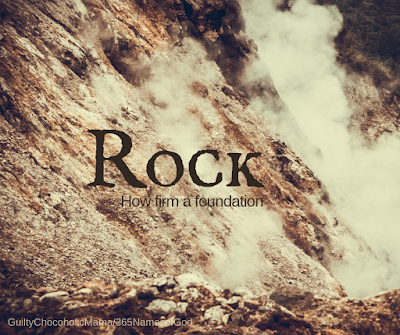 I usually start by telling God who He is, using that day's name...for instance, "You are the Rock." Then I try to tell Him what or how He is, again using that day's name as a starting point. The telling is for me, of course—to reorient myself and remind myself and to "reset my presets." What would you add to this list? I'd love to know. And thank you again, my greatly cherished noggins, for being here. I read this Scripture, and it strikes me that if anyone other than God said these words, I'd think, "Well, aren't you cocky?" But coming from the mouth of the Lord, it fills me with confidence. I need God to be incomparable. I want Him to be unequaled. To be holy is to be "set apart." In the Old Testament, for example, "holy" oil was oil that was dedicated for sacred use. The oil itself was ordinary oil used in other ways, but the portion of it that was set aside and reserved for sacred purposes was holy. But God the Holy One is not set apart for something so much as He is set apart FROM everything. Set apart from sin. Set apart from weakness. Set apart from the ordinary. Set apart in perfection. Set apart in power. Set apart in majesty. I like to look at the holiness of God as the "otherness" of God. Yet here is another example of the totality of God and His passionate commitment to relationship: the Holy One Who is set apart also comes near to us. He came to us in the person of Emmanuel. He entered—and enters—our world. This really is too much for my mind to grasp, which is where I have to take hold with fingers of faith: the Holy One who is set apart sets His love on us and calls us to Himself. I'm learning so much from this series. That doesn't surprise me, because there is always something new to learn about God and from God. What's surprising me is how much I'm learning about names of God I thought I was pretty well familiar with. Take today's name, for instance. 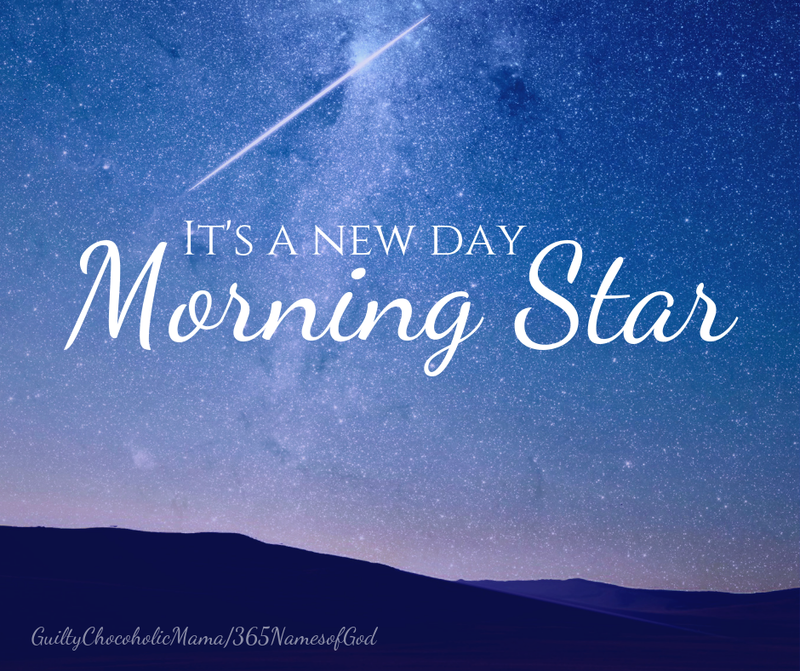 I always thought the morning star was the first light of morning that heralded a new day and that Jesus alone is called Morning Star because He came to announce a new day and a new way. But as I was researching, I learned that the morning star refers to a very bright planet (commonly Venus) when it is visible before sunrise. And Jesus is not alone in being referred to in the Bible as "morning star." Lucifer, or Satan, is also referenced in that way in Isaiah 14:12. Clearly, I had some lessons to learn about this name. I'll take the second one first, because it's extremely crucial. For one thing, the original word used to refer to the fallen angel Satan is more along the lines of "shining one"...and his "shining" was temporary. Furthermore, the references to both Lucifer (or Satan) and Jesus in Scripture as "morning star" are an example of where a simple article is crucial. When Satan is referred to as "morning star," it is without the article "the," whereas Jesus is called THE Morning Star. This is only one example of how Jesus is so often the "THE": THE Light of the world, THE One and Only, THE I AM. And on and on. As for what the morning star is from an astronomical standpoint, I still think the connection works. 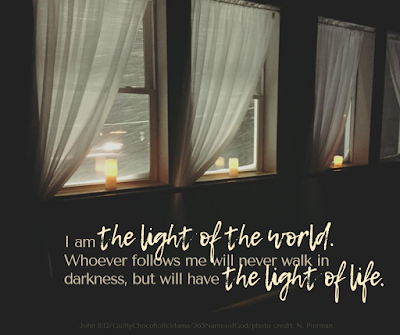 Just as the morning star in scientific terms refers to a bright planet that shines its light before any other in the day, so Jesus shines His light ahead of any other and more brightly than any other. He is THE Morning Star, and He still comes to bring a new day. I am in no way equating myself with God the Spirit in His role as Counselor, but I do think He sometimes operates in a similar way. (Of course, He does it far better.) His counsel is that little voice we hear in our heads (the Newsboys' song "Spirit Thing" calls it a "holy nudge"), that sense in our spirits, that push toward something or pull away from something. * Does it line up with Scripture? * Does it lean toward love? * Does it lead to peace? Of course, discerning the counsel of God is not always clear-cut. But like most things worth doing, we get better at it with practice. And with practice, we might at some point find ourselves telling God, "I heard Your voice in my head, telling me..." As our heavenly parent, I think He'd like that. Even though we're only a little over a week into this series, I couldn't stand to wait any longer to share this name of God with you. It's my favorite new name of God...of course, the name is not new; it's just new to me, thanks to Darlene Zschech's miniseries on names of God in her book Revealing Jesus. The New International Reader's Version (NIRV) translates Yahweh-Tsidkenu (yah-way sid-KEN-ooh...the "t" is silent) as, "The Lord Who Makes Us Right With Himself." Can you see why I love this name? I read this interpretation two ways: first, God makes us righteous—wipes our sin-slate clean—by putting His perfect goodness on us. This is credited righteousness: a debt in our account marked as paid, though we've done nothing—indeed, can do nothing—to repay it. And then, because Yahweh-Tsidkenu gifts us with His righteousness, we are able to be in right relationship with him. You've probably heard the expression "to make things right." I believe that applies here. God uses Himself to make things right between us. And of all the things that have ever been made right in the world, nothing compares to this. I still remember the morning this view greeted me when I went out for my daily walk. The juxtaposition of light and dark, sun and moon, day and night stopped me in my tracks. I love the way the Creator's handiwork displays His lavishness. He could, for instance, have ordered the sun to rise and set in a way that gets the job done but doesn't get our attention. Instead, out of His generosity, He creates sunrises and sunsets that make us stop what we're doing and then post pictures online with captions like, "This doesn't do it justice." God creates because He is creative. He creates because He wants to. And He creates because He longs for us to know Him: "Since the creation of the world God's invisible qualities—his eternal power and divine nature—have been clearly seen, being understood from what has been made" (Romans 1:20). 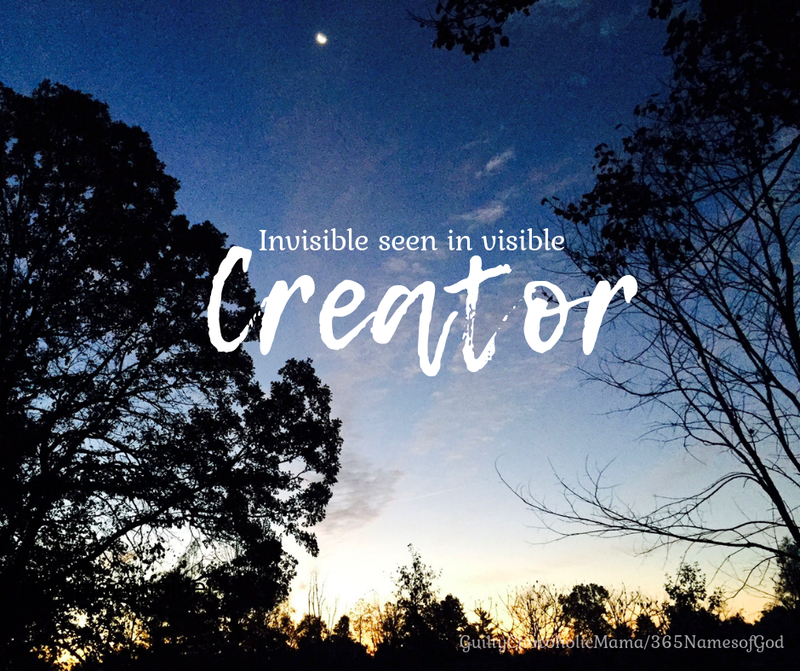 My prayer for you and for myself this week is that in creation, we will see the Invisible in the visible—and that in the seeing, we will know God better and love Him more. So much about the arrival of Jesus—Emmanuel, the with-us God—to our world was surprising and unexpected. Where He did it: in a barn. Who heard the news first: a bunch of working-class guys who spent their days hanging out with sheep. How He did it: in the form of a helpless baby. Lots of people had been awaiting Emmanuel's arrival for a long time, but they were looking for a political prince of power. What they got was the Prince of Peace. Jesus has always done the surprising thing. His way has always been the unexpected way. In His improbable peace, we find we are ruled by something far deeper and more lasting than any earthly power or treasure. This peace is not something we have to manufacture on our own or dredge up from our natural will or strength, for "He Himself is our peace" (Ephesians 2:14 NIV). It's something we give way to and allow ourselves to be protected by, for "then you will experience God’s peace, which exceeds anything we can understand. His peace will guard your hearts and minds as you live in Christ Jesus (Philippians 4:7 NLT). Sweet friends, may the unexpected, surprising peace of the Prince of Peace be yours today, throughout this Christmas season, and always. 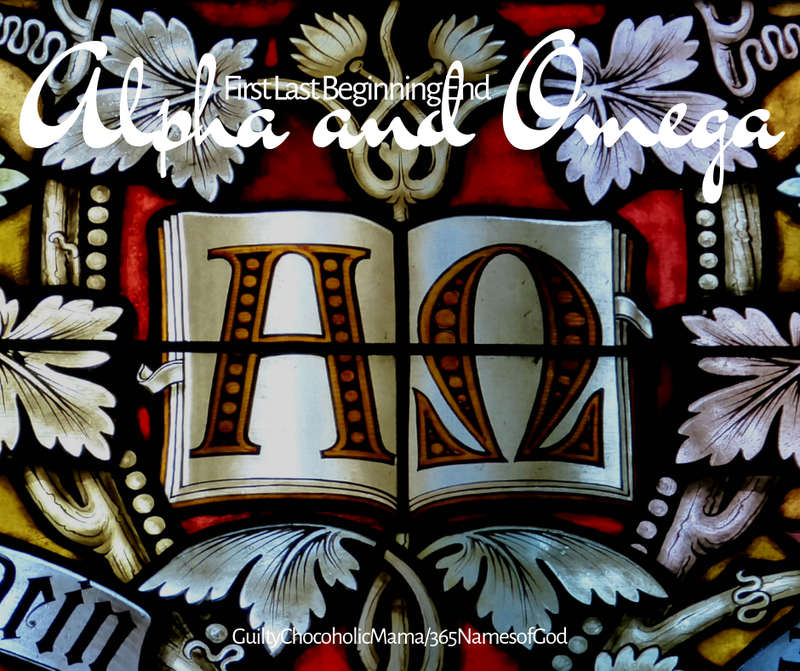 In their lowercase form, alpha and omega are the first and last letters of the Greek alphabet. But when these refer to our unquestionably uppercase God, they demonstrate one of my favorite characteristics of Yahweh (in fact, it's so much one of my favorites that you'll probably be sick of me talking about it by the time we get to day 365): His completion. Again and again throughout Scripture, we see the completeness of God on display. The Alpha and Omega finishes what He starts. He ends what He begins. He fulfills what He promises. He Himself is complete, and in relationship with Him, we discover our own completion. "I have now seen the One who sees me." I love the "nows" of Scripture. They show us a turning point from past to present. They alert us that something has shifted or changed. They tell us that what is differs from what was. And here, the placement of the "now" in this English translation of the original Hebrew text is so significant. Hagar does not say, "I have seen the One who now sees me." She says, "I have now seen the One who sees me." God had always seen Hagar, but "now," she sees Him back. And when we get the place where we truly see El Roi (el roh-ee/el roy)—the God Who sees us—we are never the same. Jesus is a Greek rendering of the Hebrew name Joshua. It means, "Yahweh is salvation." We could stop right there and be utterly undone by the impact of this. Jesus. The Name above all names. The name at which every knee will one day bow. The name that, when trusted, saves us from ourselves—because we need saving—and saves us for Himself, because He wants relationship with us. Oh friends, there is so much else I could say about this name of God, but anything I can think of seems inadequate. So I will follow God's example and let a little child lead us, with these words adapted from something my daughter wrote when she was about five years old: "Jesus loves you. Jesus loves the moms. Jesus loves the world." I AM is one of my mom's favorite names of God, and it's one of mine, too. It's just so definitive and done. 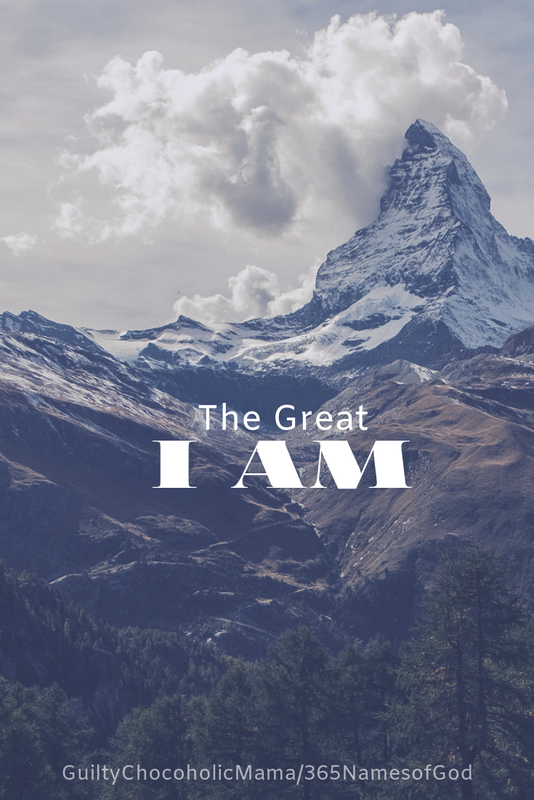 If I introduced myself to someone and walked up to them and said, "I am," they'd probably say, "You are what?" or "You are who?" 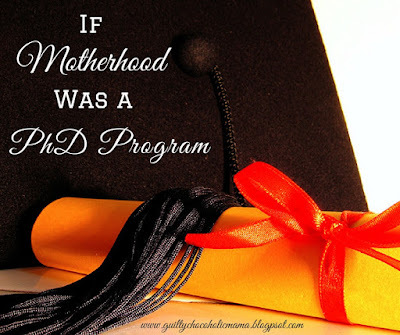 and then I'd say, "I am Elizabeth" or "I am a mom" or "I am Russ and Joyce's daughter." But God needs no such qualification: He just is. I love the way Darlene Zschech (of the song "Shout To the Lord," and as long as we're doing pronunciations here, this one is just "check"...really) puts it in Revealing Jesus: "all other attributes and descriptions are wrapped up in His being." Over the next year, as we study more of God's names, I'm praying we will unwrap a deeper understanding of who and how He is. But for today, just lean into reassuring reality that The Great I AM is...and all He is, He is for you. 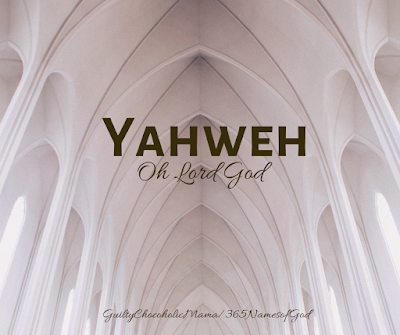 Yahweh (yah-way) is the most-used name for God in the Bible and is usually translated into English as LORD. 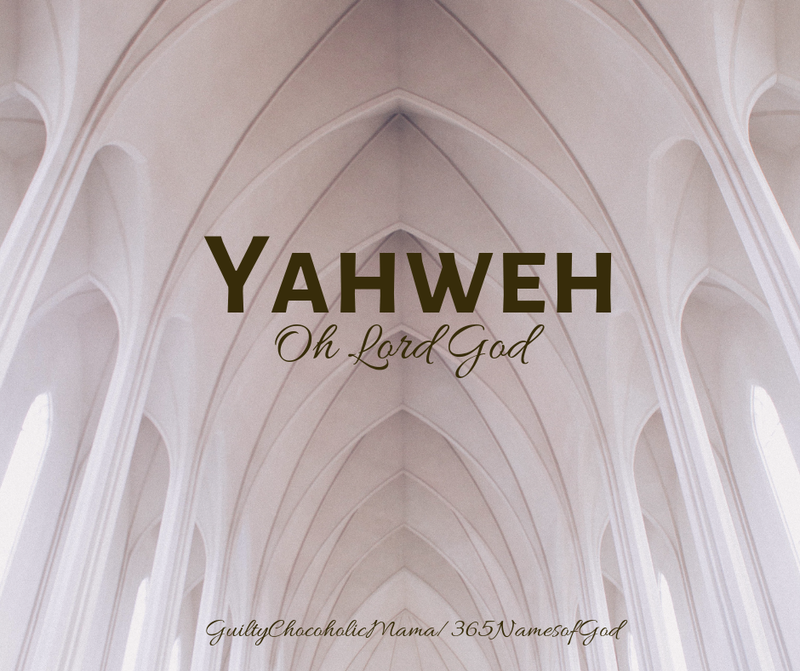 Yahweh is God's personal name, revealed by none other than God Himself. I'm so thankful God wants us to know Who He is. 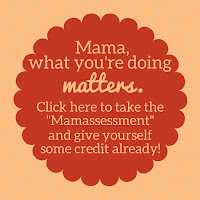 He did not owe us that; He could have just created us and then remained aloof and stand-offish. But instead, He introduced Himself on a first-name basis, because that is always the initial step in a relationship, and God is ALWAYS about the business of relationship with us. In days to come on our year-long journey, we'll visit many expanded versions of this particular name, each of which illuminates a different aspect of God's nature and character. Honestly, I'm restraining myself from front-loading this series with these and throwing them all at you, one right after another from the get-go, because I LOVE to study these Hebrew names. But I appreciate you dearly, my fellow travelers, and don't want to lose you. So for today, rest in the reminder that Yahweh is the Lord, holy and worthy to be praised. 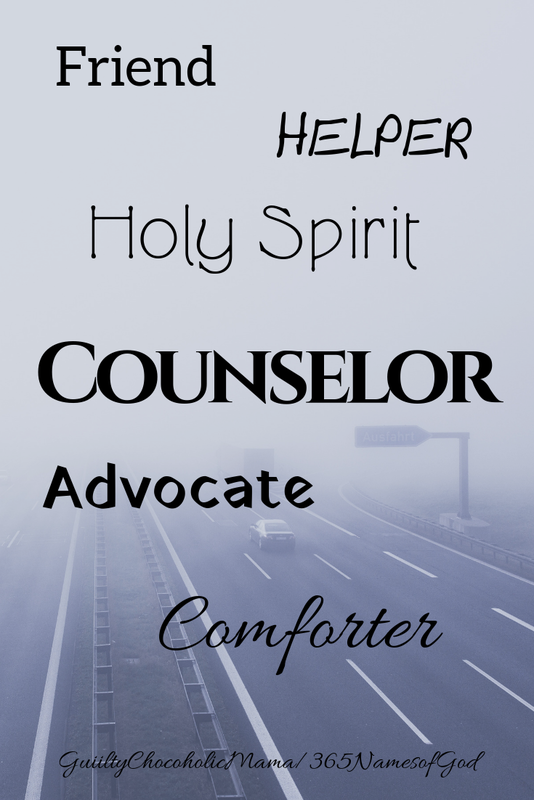 God the Spirit is sometimes referred to as the Comforter, and I always thought of that in terms of a warm fuzzy blanket or as someone who soothes. But in her lovely devotional for children of all ages, Thoughts to Make Your Heart Sing, Sally Lloyd-Jones tells the story of a centuries-old tapestry that shows a knight on a horse with the caption, "Bishop Odo comforts his troops." Lloyd-Jones writes, "Is Bishop Odo giving them nice fluffy quilts? No. He's prodding them from behind with a stick! NOT comfy. But Odo is spurring them on, encouraging them, urging them to keep going and not give up. Because comfort in the Bible doesn't mean 'to make comfy.' It means 'to send help.' When we want to give up, when we are afraid, God sends his Spirit—the Comforter—to make us strong, to give us courage, to lift us up." 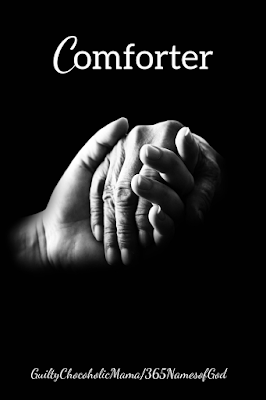 I do believe God often "comforts" us in the other ways we think of when we read that word: He tenderly consoles us and lovingly eases our heartache. 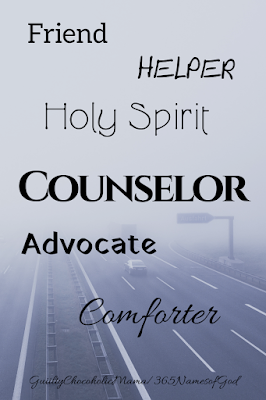 And no doubt we'll see that aspect of "comfort" reflected in several of His great names. But this name of God and the aspect of the Holy Spirit it reveals remind us that God is our Help, our Strength, our Courage. Even if sometimes, it feels like He's prodding us. 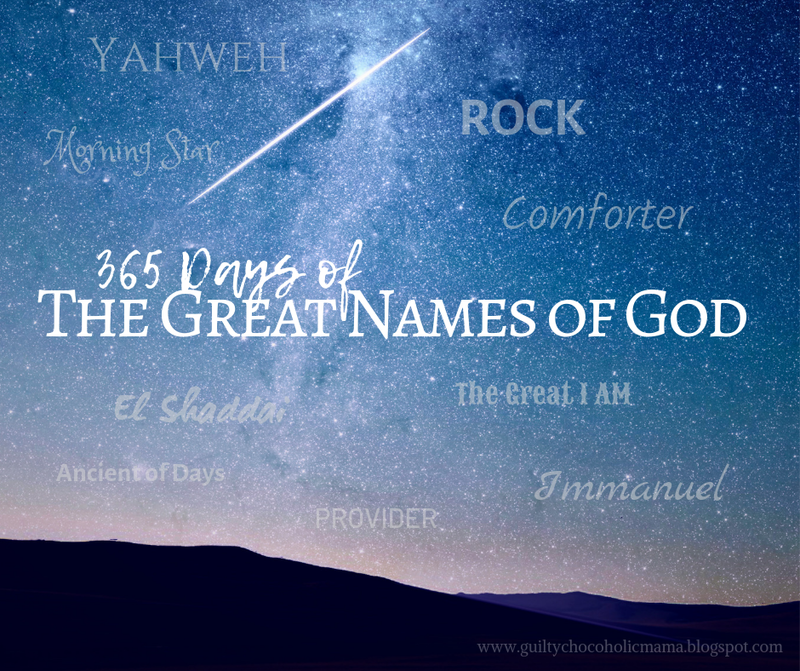 This name of God is so relevant for Advent, which is why I wanted to visit it early on our journey. 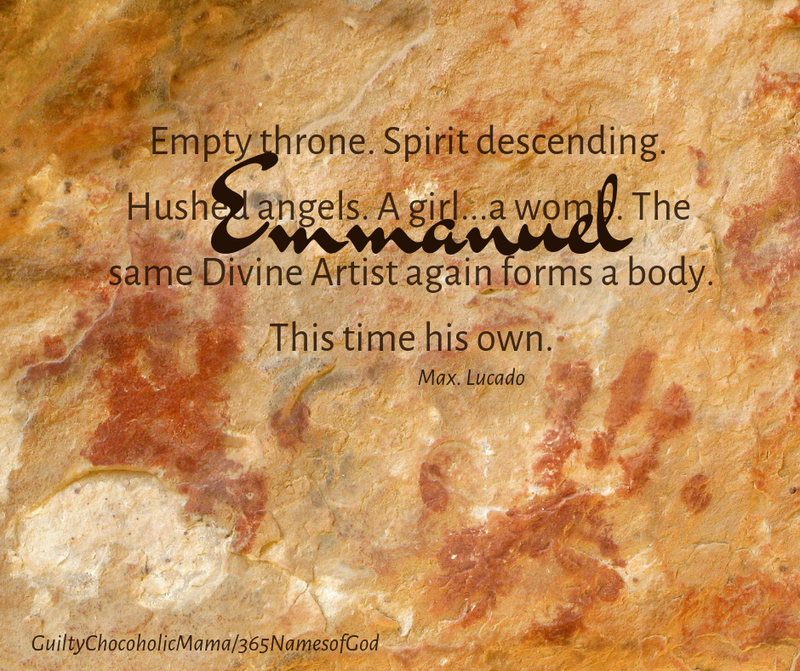 My Bible study sisters know I LOVE the literal translation of Emmanuel, which is based on the fact that "el," meaning "God," comes at the end of this name, giving it a rendering of "with-us God." Any way you look at it, I'm so thankful He is a "with-us God" who loved us enough to come and dwell ("pitch his tent" or "camp out" are other ways of looking at it) among us. Sometimes, we say to each other, "God be with you," almost like a wish. But Emmanuel shows us this certainty: God is with you. With you. With me. With us all. Hello, sweet friends! 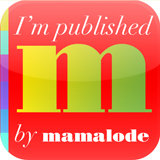 I am so honored and thrilled to be starting this year-long journey with you. I promise I am not going to load you down every day with my ramblings. I just wanted to welcome you on this first day and offer a few thoughts on how you might approach this series. As I mentioned in the introductory post, I like to use God's name to start off my early-morning prayers with praise and adoration instead of launching straight away into my list of requests. From there, the challenge is to apply the truth that God's name conveys to daily life. 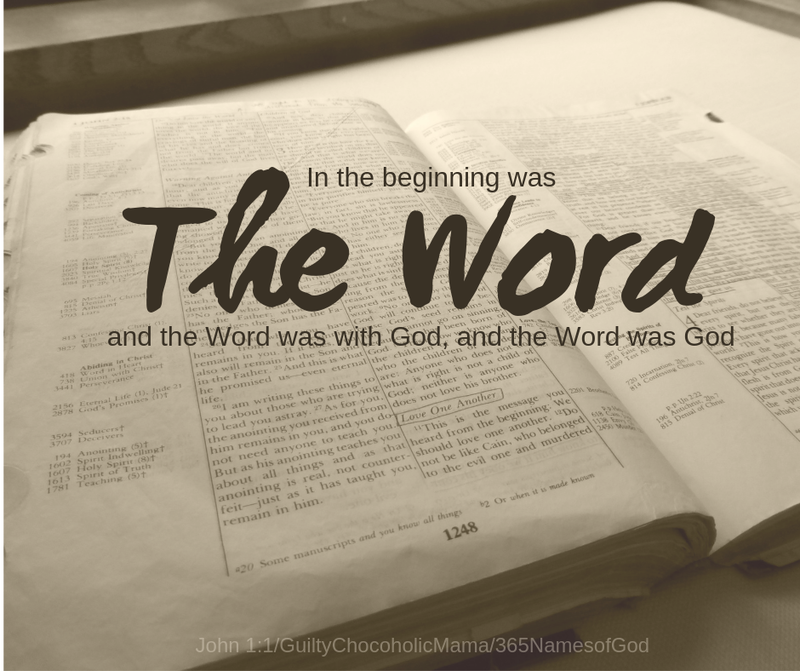 My husband says that when he does any kind of Bible study, he tries to ask himself, "What is God's Word saying, and what am I supposed to do about it?" In this case, maybe you and I will want to ask ourselves, "What is God's name saying, and what does He want me to do about it?" I truly believe God's name provides comfort and strength and guidance and wisdom. But more than anything else, it brings about a deepening of our relationship with Him. After all, to know someone's various names usually means we have a certain degree of intimacy with them, and any deepening of our relationship with God is always for our good. 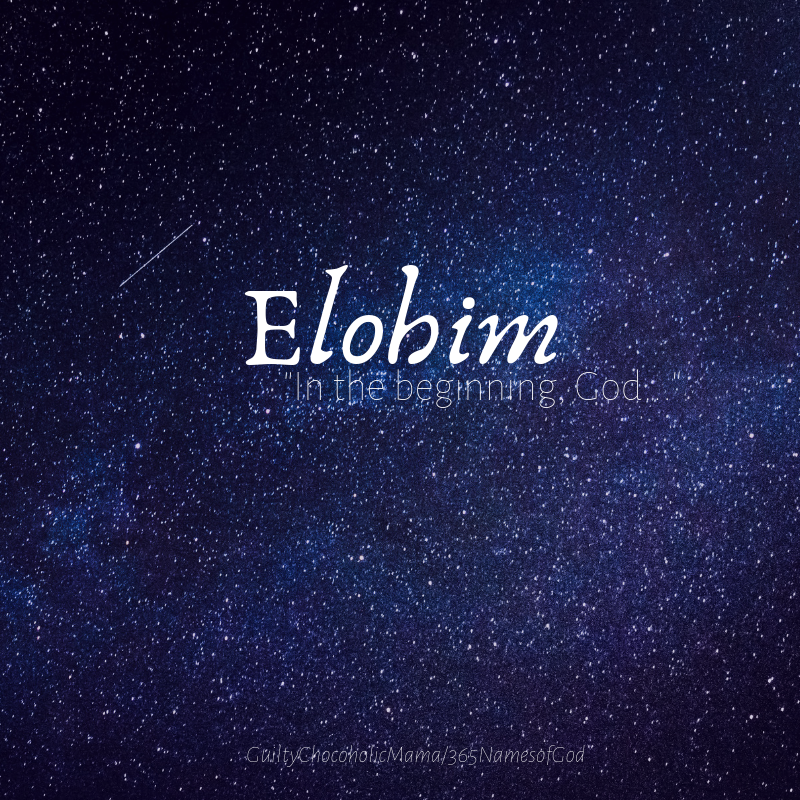 Elohim is the first name of God we come across in the Bible. 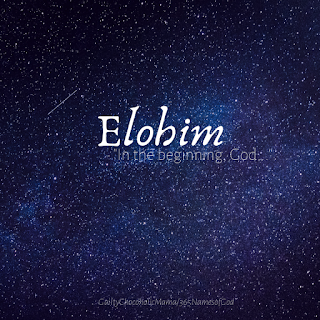 If we were reading Genesis 1:1 in the original Hebrew, where our English Bible uses "God," we would read Elohim. (I like to know how to pronounce things in my head, so if that's you, too, this would be el-oh-heem.) 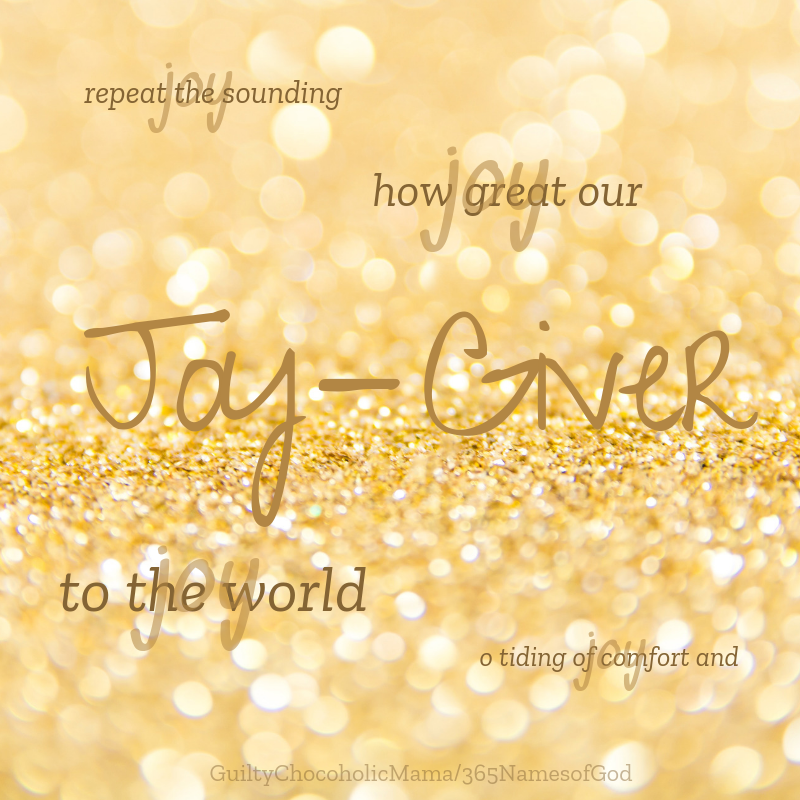 This name reflects God's strength and authority. As with all God's character traits, these reinforce His perfection, His completion, His "lack of lacking." If God were mighty but had no authority to exercise that might, He would be less than He is. And if He had authority but no strength to go with it, He would also be incomplete. But He is both mighty and supreme...and so many other things we'll discover as we journey together through some of His great names. May they be praised forever.